Many people wonder if they should buy an Oyster card or a Travel card when travelling by public transport in London. We will try to explain the differences between the different cards including the weekly 1+1 (2For1) card that allows cheaper entrance to many London attractions. What Is The Difference Between A Travel Card With Offers And London Pass with Travel? Oyster Card – A contactless card the size of a credit card, needs to be topped up with money (at shops or ticket machines) and is used to pay for your journey. The card itself costs £5 (this is refundable once you return the card after your last trip). 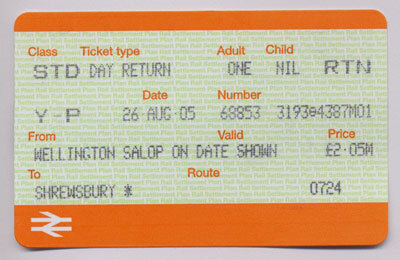 Paper Ticket – A paper ticket with a magnetic strip on one side, this was the original way to travel before the introduction of the Oyster card, but can still be used. These tickets can be used for single, daily or weekly journeys, For single journey it cost about twice what the same journey will cost using an Oyster card. Travel Card – A card used for travelling for a period of one day, one week or one month. You can buy this either in a paper ticket form or load it onto an Oyster card, either in a shop or at the automated ticket machines at every underground and train station. 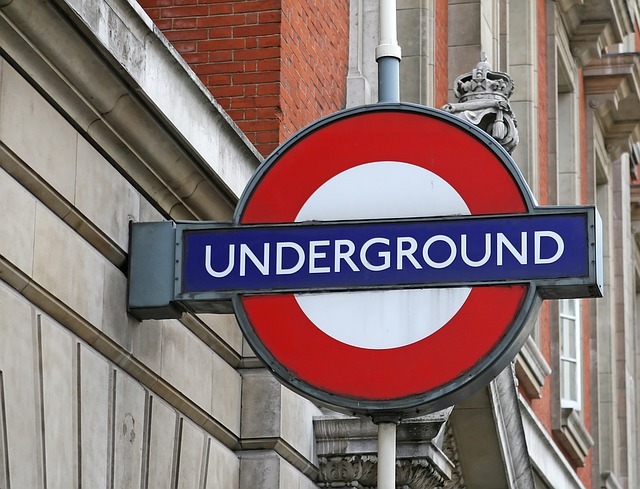 Underground / Tube – The two common names for the underground trains throughout London. DLR / District Light Rail – A driverless train as an extended part of the underground connecting east London. Cap – When using an Oyster card only, all your journeys within one day are combined and there is a cap to how much you will be charged (currently in 2018 – £6.80 per day for zone 1 and zone 2). When you reach the cap (around 3 journeys) you will not be charged any more for any additional journeys that day. You can see the exact cap rates for all the zones here. London Pass – A ticket that includes travel and free entrance to many London attractions, these can be found with different durations, offers for kids, and more. Full details can be found on the London Pass website. This is an offer that allows you to get 2 tickets for the price of 1 for many London attractions if you have a Travelcard (paper ticket) that was bought at a National Rail train station, or if you arrived in London using the National Rail and kept your paper ticket for the journey. To receive this offer you need to buy a paper travel card with the 1+1 offer, you will need to go to the ticket shop at one of the national rail train stations in London and bring a passport sized photo with you and ask for a “Travelcard 2 For 1” ticket. You can find these tickets at one of these stations: Charing Cross, Euston, Fenchurch Street, Kings Cross, Liverpool Street, London Bridge, Marylebone, Paddington, St Pancras, Victoria and Waterloo. Make sure you go to the Train Station Ticket Office and not the Underground ticket office. To fully enjoy the offer, each person needs to have a valid travel card or a ticket from the train to Lodon for the day you want to use the discount. You will need to fill in a separate form for each attraction you will be visiting. You will not be able to buy it in London underground stations. National Rail Ticket – If you are arriving in London the same day, you can take advantage of the 1+1 discount by simply showing your train ticket and filling out the forms. If you are travelling by train, we would recommend you book your tickets early, which you can do here, you will then be given a code to print out your tickets at the station to speed up the process. You will not need a photo if you are coming by rail. If there are two of you, you can buy two tickets for attractions for the price of 1. No need to return your card at the end of your last journey as there is no deposit (remember, the Oyster has a £5 deposit). You need to find a large National Rail train station to buy the 1+1 ticket (if you are not already at a train station, remember your journey could cost £4.90 if you use paper ticket for a journey in Zones 1-2). You need to queue up to buy your ticket at each attraction, you can’t buy your ticket online. You need to fill in a form at each attraction you visit (remember to bring your ticket and form to each attraction and have enough forms, as you will need one form per attraction). If you buy a paper ticket for Zone 1-2, if you then travel outside Zone 2 you may have a problem exiting the station and you may need to pay the full price of a paper ticket for that journey (with an Oyster, your card will simply go to a negative balance). If you lose the ticket, you lose the money on the ticket. If you lose an Oyster and it is registered, you can simply cancel it and get a full refund online, assuming you registered the card, which you can do here. Will you be in London a full 7 days, will you be doing 2 or more journeys a day? Is the card really cost beneficial to you? It may not be worth for families as kids under the age of 11 travel for free on London underground and many attractions have discounted child tickets anyway. I will be travelling alone and in London for 7 days, should I buy a weekly travel card? This depends on how many journeys you plan to make on public transport. If you have an Oyster card and take 2 off-peak journeys a day within zones 1 and 2 this will cost you £33.60 (£4.80 being an average journey cost), this is less expensive than a weekly travel card which costs £35.10. Remember that using an Oyster card there is a cap of £7 a day, so if you do more than 2 journeys a day it will be more expensive, although if you don’t use public transport everyday, it might be cheaper to get an Oyster card. I will be travelling alone and in London for 4 days, should I buy a weekly travel card? The answer is no, If you buy an Oyster card and travel within zones 1 and 2 you will have a maximum cost of £7 per day for a total of £28 which is cheaper than a weekly card at £35.10. I will be travelling with a 10-year-old child, is it worth it to get the paper weekly ticket with the 1+1 offer? The answer is no, children under 11 travel for free on public transport when accompanied by an adult, so children do not need to buy tickets to travel. Although the attractions normally cost money, many have cheaper child tickets. You can see some attractions here. I will be travelling with a 12-year-old child, is it worth it to get the paper weekly ticket with the 1+1 offer? The answer is not simple, but probably not. As the 1+1 requires you to buy the first ticket at full price and must be purchased at the attraction, you may find it cheaper to buy an adult and a child ticket online, that way saving some money and time for queueing. You can find some offers at our London attraction page. Can I use the zone 1-2 weekly travel card to travel to Heathrow airport? Heathrow Airport is in Zone 6, so you will need to pay more than the weekly travel card for that journey. If you have a weekly travel card on an Oyster card, it will charge you £2.80 more during peak time and £1.50 at all other times, this will deduct from your deposit (remember the card had a £5 deposit paid). If you have a paper weekly ticket, you will need to buy a separate paper ticket for zones 3-6 and this is £5.90 (a full price ticket from central London to Heathrow, if you didn’t have a weekly card, is £6). We are 3 adults, should we get the 1+1 travel card? The 1+1 provides 2 tickets for the price of 1, so you will effectively need to pay 2 full price tickets you will get 1 free for each attraction. Are the Travel Cards and Oyster Cards good for Bus travel in London? Yes, both Travel cards and Oyster cards work on all London buses, buses have fixed fares and there are no zones, so your card will work. What attractions are part of the 1+1 (2 for 1) tickets? We are a family of 2 adults and 2 children, is the 1+1 card for us? This all depends on the age of the children, if they are under 11, then they do not need travel cards as they can travel for free so it is not worth it. If they are over 11 years old, then it depends on which attractions you plan to visit, so you should check the costs of each attraction. We are a family of 5 staying in a Central London hotel, should we use taxis instead of using public transport? It could be a good idea for short trip. Black Cabs in London are very expensive, you can always pre-book a minicab, which is much cheaper than a black cab, and if you are travelling short distances this might be cheaper than using the tube. we recommend minicab to check prices and order your minicab, or you can use applications like Uber. The Travel card gives you 2 tickets for the price of 1. London Pass is a ticket for multiple attractions without needing to buy a specific ticket for each attraction, you just turn up. You don’t need two people in order to get the discount. The travel ticket that comes with it is an Oyster card for the number of days you need. With the Travel card you need to fill out a form at each attraction and stand in line to buy one full price ticket. The London Pass saves you time as you don’t need to queue to buy tickets at each attraction, you just walk up. To get your discounted Travel Card with 1+1 remember you need to buy it at large National Rail stations. The London Pass is more flexible in terms of number of days its available for, so if you plan on seeing all the attractions in a small number of days it could be very worthwhile, and you can buy it ahead of time. With the Travel Card you need to buy a full price ticket for each attraction. The London Pass has discounted children prices and in addition, we have a special extra 10% off with the code ASKALOCAL, which you should enter when you register here. Still not sure what is best for you? You can always ask us a question via our app, or by clicking the links below.